& comment on my projects... you cannot know how much it means to me! Both prize packs include six stamp sets (My Favourite Things, Elle's Studio, Studio Calico, Teresa Collins, Fresh Squeezed stamps&/or Lil Inkers) and a 6x6 paper pad. on my blog by Sunday, Jan. 5, 2014, at 11:59pm CST﻿. I will draw two winners on Monday, the 6th. using the Forever Fall stamp set by Reverse Confetti. which I layered over some true black cardstock. I cut another rectangle of black cardstock and stamped my sentiment and woodgrain heart in versamark and then heat embossed them with white embossing powder. To finish it off, I added two MME decorative brads. Next on the hop is AJ Otto. Love your blog! Everything you do is so inspiring. Awesome Prize Packs!!! Happy New Year and Good Luck. Stunning chalkboard design, love it. Happy New year!!! I love the chalkboard technique! Wonderful card! Thanks for the chance to win one of your prizes! Happy New Year! Yay, happy New Year! Love your chalkboard card...love your cards, it's always fun stopping by! Great card. I love the soft patterned paper with the chalkboard look. Simply beautiful. I love how you inked over top. Beautiful work. I like your card! I haven't tried the chalkboard technique yet but yours is great! Happy 2014 to you and yours! Another great card, Leigh, thanks for the chance to win one of your sets! I hope the New Year will be a year of great happiness and success for you. Have a wonderful celebration! What a lovely card. Great framing of the sentiment. Thank you for the chance to win an awesome prize and Happy New Year. Leigh, thanks for the chance to win! I'm a new follower. Happy New Year Leigh! I love your cards and scrapbook layouts, you are such an inspiration! Cool, I get to be first. Thanks for the awesome prize offering and Happy New Year. Thanks for being part of the blog hop. happy New Year. I just love that card! Chalking effect is very cute. Happy New Year and thanks for chance to win. Your card is gorgeous. I especially like the use of embellishments with the chalkboard technique - it really adds pop! Thank you for your generosity and I will be following you now. I love your style (took a quick peek at past cards and was wowed!). That's why hops like these are so fun - I learn about new blogs to follow and get inspiration from! May you and your family have a blessed 2014! Love the chalkboard look, very pretty Leigh! Wishing you a year full of blessings! love the chalkboard look- have yet to try doing it though! Happy new year! I love the card! I think I'm going to try the diy chalkboard paper. Thanks for the idea! Leigh, I love your chalkboard card. The muted colors are wonderful! Thanks for all of the fabulous inspiration! Happy New Year! 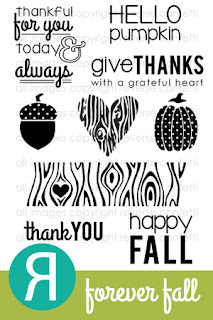 Love the sentiments used in your chalkboard card. Looking forward to seeing all of your projects in 2014. Happy New Year. I love the chalkboard technique. Wishing you the best for health and happiness in the New Year! Thanks for an opportunity to win your great prize package. Love your card...the sentiment is perfection. Happy new year to you and your family Leigh! Love the chalkboard technique! Beautiful card!! Happy New Year! Love your card! Happy 2014!!! Love the look of your great chalkboard card! Happy New Year! Oh, Leigh! I love your card today. And how sweet of you to help participate in such a generous blog hop. Happy New Year! amazing prize packs, Leigh! happy new year! I am lovin' that Dad die cut ... such fun prizes. Love your card!! Also, could you update my link to http://bethpingry.com/ thanks!! Absolutely gorgeous card, Leigh; your chalkboard technique is one of the best! Love the wood grain heart...swooning over it! so glad I *discovered* you last year; you've been a wonderful source of inspiration! HAPPY NEW YEAR; may you be blessed with peace, joy and love throughout 2014! Great card. Thanks for the chances to win. Love your card...so pretty! Happy new year to you! Oh wow! Thanks for the awesome giveaways - and what a beautiful chalkboard card!!! LOVE it!!! Great blackboard technique, fab card! Happy New Year! Love your generosity! Love the card you made - so sweet and creative!! You are talented and sweet!! You've done this hop proud...gotta admit, I'm partial to black and white, but you really got this right Kudos. I have the "chalkboard" but haven't used it in any of my cards. Love your card. It will give me incentive to try using the chalkboard. thanks for sharing. Thanks for the chance to win some awesome stamps!! Happy 2014! Happy New Year! Great blog. Amazing prizes. I really love the chalkboard technique and you did an amazing job with it on this card! Gorgeous. Love your chalkboard card! Happy New Year & thanks for the chance to win! I'll be following your blog starting today!! Love your blog and your card is beautiful. Thank you for your inspiration. Happy New Year! Thanks so much for participating in this huge blog hop with such a generous giveaway! I've got my fingers crossed! Happy New Year! I love your chalkboard card ... I've been meaning to try this effect for ages! Fab giveaway, thanks for the chance to win! Beautiful CAS card!i love visiting here and can't wait to see more this year! What a great project! Happy New Year! Great chalkboard card. Thanks for the chance to win. Hope you have a fabulous 2014. Cute Chalkboard design! I am now a follower. Happy New Year! Fabulous giveaways, thanks for the chance to win. Happy new year! Your blog is great, and thanks for the opportunity to win the prizes too! Happy New Year and thank you for all the inspiration in 2013. I love your blog Leigh and I wish you a fabulous new Year!! The Blog Hop is a wonderful idea. wow what great giveaways and thank you for the chance to win. Lovely card and great prizes Leigh! I always enjoy visiting your blog. Today's chalkboard card is great! Your chalkboard card is awesome! Happy New Year!!! Two super prize packages. Thanks for the chances. thanks for a chance to win such generous prizes - read your blog every day. I love chalkboard cards....this is great! Thanks for the chance to win your great giveaway! I hope to touch more peoples lives with hand made cards and paper crafts this new year!Thanks for the chance to win! Happy New Year, Thanks for the opportunity to win such lovely prizes. Love the inspiration from the chalkboard card , looked further to see your lovely designs. Cute card design. Hope you have a happy new year. Thank you for a chance to win. i LOVE THE CARD !! And the prizes. Thanks for the chance to win. Super cute cards!!! I love the way you think up cards. It's very inspiring. Thanks for a chance to win. Love your chalkboard design I have never tried this at least not yet. Thanks for a chance to win and Happy New Year. thanks so much for all the inspiration your provide through your blog. Thanks too for an awesome giveaway package.. You ladies are just so generous!! Very inspiring projects. Thanks for sharing and for the generous give-away! Fabulous giveaways Leigh. Thanks for the chance to win! Happy New Year. Love your card. Black and white together is so elegant. Thanks for sharing and the chance to win. I'm a new follower. I love your chalk card, I must try it !! Hello, fellow Canadian crafter. Thank YOU for the inspiration throughout the year. You are one consistently creative chica! I'll be following your blog through 2014. CHeers! Beautiful! I love how you used the chalkboard technique. Happy 2014! Pleased to join your blog through the courtesy of the blog hop. Love your blackboard technique. May your 2014 be all you want it to be and more. Thanks for giving two of us a chance to win!! Great giveaway! Thanks for participating in this awesome hop! Beautiful card, love the chalkboard style thanks for a chance to win such an awesome prize. Happy 2014! Thanks for the chance to win! :). Love your card! Awesome card! I love how you rubbed some white ink to really make it look like a chalkboard! That sentiment is so GREAT! Thank you for the chance at winning a fabulous prize. Looking forward to what you come up with for the new year. Here's to a happy, healthy and crafty New Year! :) bjlee717"at"hotmail"dot"com. Your card beautifully captures exactly how I feel about my husband! Sigh... I hope you have a very happy & healthy 2014! Lovely card as always Leigh. Thanks for the amazing prizes. very pretty chalkboard technique!!! Thanks for offering such a great prize!!! I am joining your blog now! :) HAPPY NEW YEAR!!! My oh my, you do great stuff. Thanks for the inspiration for both layouts and cards. Love both. Thanks for the chance to win and participate! Great prize packs love the card. Thanks for participating in the hop. Great prizes and love the chalkboard technique on your card. Thanks for the chance to win! Just found your blog a month or so ago and have you in my Feedly now. Happy New Year! Happy New Year Leigh! Love the chalkboard technique. I need to give that a try. Thanks for the inspiration and the opportunity to win some great prizes. really pretty card, fab HOP! Happy New Year! I absolutely love your work..love following your blog, I just love your style! Thank you so much and I can't wait to see what you have to share in the new year! Thanks for the chalky inspiration! I really love your card. It's so beautiful! 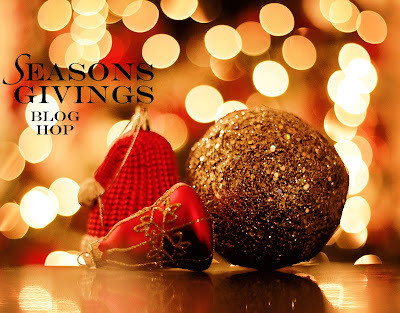 Wishing you a wonderful 2014 and thank you for participating in this blog hop. As a retired teacher, I was so glad to go from blackboards to whiteboards but the nostalgia of the blackboard is so enticing. Thanks for participating in this amazing blog hop. Oh my...that is a lot of blogs to hop to! But since yours is the one I follow, yours is the one I shall comment on. Lovely work as always. Thank you for your positive perspective! Thankful for meeting new bloggers and for the chance to win such great prizes. Have a happy and blessed new year. Love your chalkboard card. Very pretty! New follower thru feedly. Love your top 13 cards for 2013 especially the feather ones. I love the chalkboard technique on you're card. You're work is beautiful. Thank you for a chance to win. Happy New Year! Love that wood grain heart! Wonderful prizes. I love discovering all these new blogs. What a wonderful prize giveaway and an amazing blog hop...I'm discovering so many great new blogs to follow! Happy New Year to you! 2 chances! Great! Thanks and have a great 2014! Great card---that's a technique I must learn! Thanks for the chance....Happy New Year! Fabulous card! I am a first time visitor to your blog. Am going to go look through more of your posts. Thanks for the chance to win and Happy New Year. I love the chalkboard look and yours looks great on the white background. Love your giveaway packages. Thanks for an opportunity to win one. Your card is absolutely stunning! I love it! Thanks for all of the great inspiration--looking forward to 2014! What an absolutely stunning card! Can't wait to see what 2014 brings! I love your card and the technique you shared is one I want to try. I love visiting your blog daily...you are very inspirational!! Gorgeous card!! Thanks for the giveaway!! Love the chalkboard effect, I have yet to try it out, but it looks like so much fun. I love the woodgrain background and the chalkboard effect. That's one of the things I haven't tried yet, but really want to. Thanks for the chance to win! What an adorable card! It really does look like a chalkboard. And two fabulous prize packages. Thanks for the chance to win. Great Prize Packs. Thanks for the opportunity to win. Happy New Year. Love that striking card, Leigh! And I'm still lovin' the chalkboard look...trendy but ever classic. Your card is very nice. I think those brads are a nice finishing touch. Fab work! Love love LOVE your card. Awesome prizes! Thank you for the chance to win them! Wonderful chalkboard card! Love your design. Thank you for your generous giveaway too! May 2014 be a healthy & prosperous one for you. Good luck everyone! Beautiful card! I love your chalkboard look! Happy New Year! Thanks for the chance to win. Your card is beautiful ... I LOOVE the chalkboard technique with your smeared white ink! THANKS for participating in this awesome blog hop - and Happy New Year! Your rocked the chalkboard card! Loved the card! I had never seen the chalkboard technique. I like it! Thanks for the inspiration! Love your chalkboard card. It's so pretty! Thanks for the chance to win! Your card is stunning! Thanks so much for sharing!! Love your chalkboard card!! And thanks so much for the fantastic giveaway!! Found you on the PTI forum and LOVE your blog. Thanks for the chance to win. I love that chalkboard card! You totally rocked it. Happy New Year!!!! Wow I could - and will - spend a few hours going through your blog! Love it! great thing about these hops...finding all new kinds of wonderful...btw love idea of cutting a die than stamping on that....so obvious yet never did it! LOL I need to move on with the hop but I shall return! Wow, great way to start off the year with awesome candy. Thanks for the chance to win. Great card. I always enjoy seeing what you have on your blog. Thanks for sharing. love your blog! Keep up the great work and keep blogging! Thanks! Love your chalkboard card. Thanks for the chance to win! Happy New Year! Great card..fun technique! HAPPY NEW YEAR! I've so enjoyed hopping along with you. Thanks so much for the great inspiration and the chance to win such fabulous prizes! Your card is beautiful. Love that woodgrain heart stamp! Thank you for the chance to win! How sweet, Leigh? :) You go girl! I never ever want to try it though :( I just too scared that I would botch it up. fantastic card a prizes, Leigh! happy new year! Great black&white elegant card! Love it. Wishing you all the best for this New Year! Love the chalkboard heart! Thanks for the chance to win!! I am enjoying looking at your blog! Thanks so much for sharing your inspiration!